The perfect way to control odors discreetly and easily, this compact, sturdy dispenser allows for maximum fragrance flow through specially placed side vents and utilizes natural air and evaporation, so it requires no batteries. The RüMate™ uses Solid Square Wafer™ air freshener refills to provide long lasting effective odor neutralization and aroma enhancement to any location. 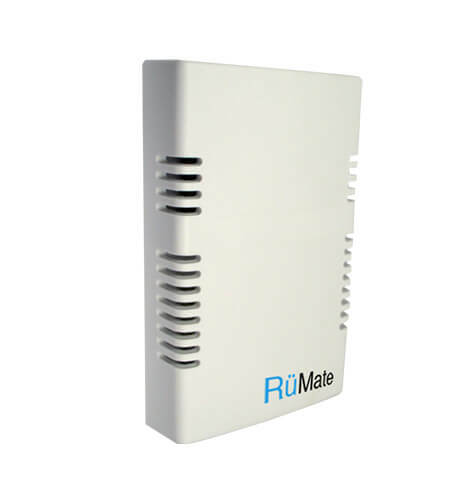 Because of its slim profile, the RüMate™ can be placed just about anywhere, specifically it’s best utilized in very smaller spaces such elevators, lockers, under desks, trash bin lids, hotel rooms, foyers, small restrooms, portable toilets, shuttle vehicles or wherever discreet odor control is required. As a passive air freshener, it utilizes natural air and evaporation, so no batteries are needed. Click below to submit an order, or click here to learn more about becoming a distributor of Air-Scent products. The RüMate™ accommodates 2 solid Square Wafer Refills™ along with other refill options that last up to 60 days.